Among foods you’ve probably inadvertently ordered at your favorite Mediterranean restaurant is tahini. While it’s is one of the most universally adored foods, it’s also one of the least understood. 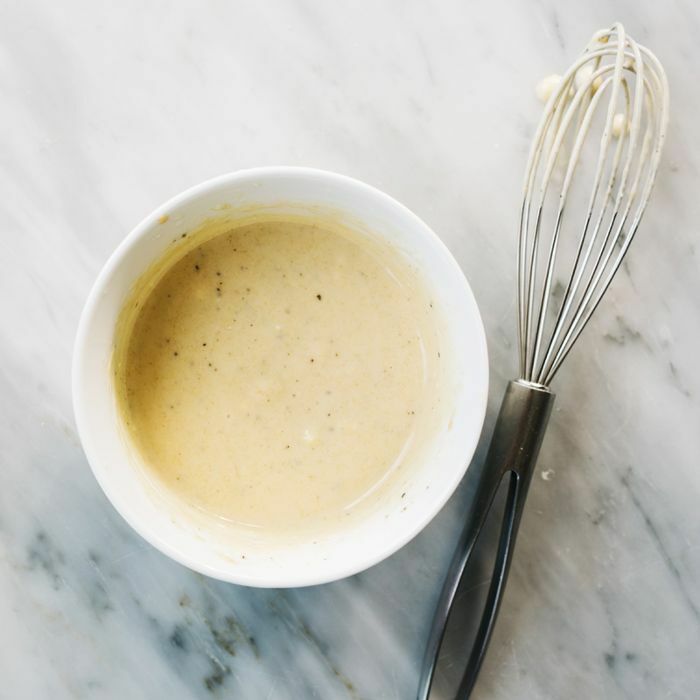 Flavorful, versatile, and surprisingly nutrient-dense, tahini is one item that should definitely be in your repertoire of international cuisine. But the question remains: What is tahini? Read on to learn everything you need to know about this beloved food. In a nutshell, tahini is a condiment or paste made from sesame seeds. While a bit of olive oil is typically added to preserve the correct consistency, ground and toasted sesame seeds are the essential (and often only) ingredient. Tahini can be found in a variety of dishes—primarily from the Mediterranean region—and has a texture similar to hummus, only a bit thicker and stickier. In fact, tahini is a key component of hummus, along with oil, chickpeas, lemon juice, and light spices. Since tahini is derived purely from sesame seeds, it’s a great option for gluten-free, vegan, and vegetarian diets. Some tahini contains thickeners or sesame seeds that are roasted in flour, so you may want to double check that the product specifically mentions being gluten-free. Like many foods made purely from nuts and seeds, tahini is both nutrient-rich and calorically dense. It contains high levels of vitamin E, multiple B vitamins, calcium, and liver-detoxifying methionine. Tahini enthusiasts will point out the difference between unhulled and hulled tahini; the latter is more common and slightly less bitter, while the former is slightly higher in nutrients since it retains every part of the sesame seed. As a simple, straightforward dip, tahini is perfect for some palates but too intense for others. It’s often served alongside pita, which serves as a simple, neutral offset to the slightly tangy flavor profile of tahini. In addition to hummus, it’s also a key ingredient of baba ganoush and halva. In recent years, it’s been featured in some of the most delicious raw bowls and is the perfect choice for dolloping on rice, salad, or veggies. Once strictly the purview of health food stores, tahini can now be found in a variety of grocery stores and local markets. Keep in mind that raw tahini typically refers to tahini without oil, made strictly from sesame seeds, whereas regular tahini will include some form of oil. You can also make your own tahini, which may just be the pièce de résistance of your next casual get-together.